I believe that all people have, within themselves, the capacity for immense change and growth. Together, we work to solve problems, confront relationship conflict and address personal concerns. My goal as a clinician is to assist individuals with making life affirming choices that lead to a healthier lifestyle. Often times clients have difficulty identifying their inner strengths and abilities so I work with them to shine a light on this part of themselves. In addition, I also work with individuals struggling with drug and alcohol problems, helping them attain and sustain long-term sobriety. As a clinician, I assist clients in identifying maladaptive patterns of behavior that keep them stuck. This information then empowers them to learn new perspectives and strategies that move them forward toward a more balanced life. I have had extensive training in the treatment of depression, anxiety, trauma, self-harming behaviors and substance use disorders. My approach is genuine, compassionate and empowering. I provide support and a safe place for clients to explore their thoughts and feelings about difficult issues impacting their lives. I would welcome the opportunity to meet and talk with you about your needs and treatment goals. If you would like to schedule an appointment with Rachael, you can contact her directly at (406) 595-1374 or through the contact us page. It is my privilege to walk alongside individuals who are going through struggle and brokenness and to join them in the pursuit of healing and growth. I believe that people are capable of great change and growth, and at times, change and growth is difficult to navigate alone. My approach to counseling explores themes of attachment and relational wounds that inform a person’s present position in life and in relation to others. With gentleness, trust, and empathy I aim to foster a secure relationship that invites vulnerability and encourages the confidence to explore maladaptive patterns. My goal is to help reveal resources, understanding and compassion to areas of dysfunction. Counseling functions as a relationship and is most effective when safety and security are cultivated. My goal is to offer a relationship unique to your personal goals of healing and change. I welcome the opportunity to get to know you and be a part of your life journey. I am eager to work with any individual in which the counseling relationship is a good fit. I have found my strengths to be in working with relational conflicts, attachment injuries, histories of trauma, anxiety and depression. I have a MS in Mental Health Counseling from Montana State University. I am currently working towards my clinical counseling license, under the supervision of Rachael Dunkel, MS, LCPC, LAC, NBCC. 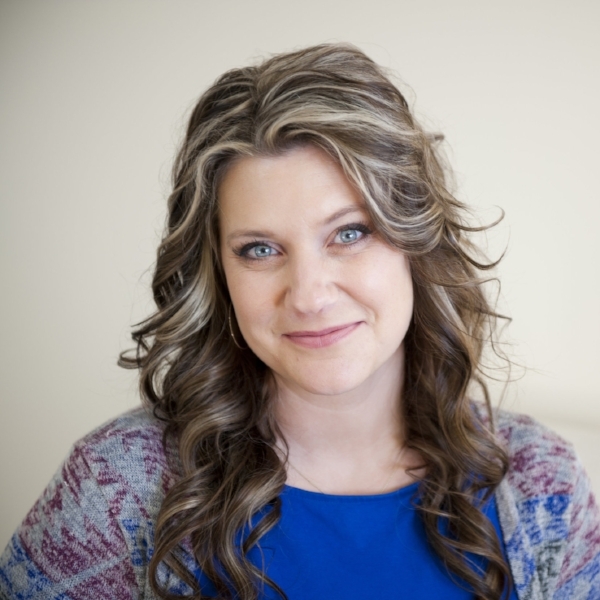 If you would like to schedule an appointment with Tess, you can contact her directly through the contact us page. I believe people are born good and have an innate drive to constantly do better. I also believe when things happen in our lives that prevent us from reaching that potential, we may need gentle guidance to help us reach the potential we desire. Working together, we will strive to find the ways that will individually suit you, using your strengths, to help you reach your personal goals. Having worked with individuals from age 7 to 90, couples, individuals, and families, there is a need for diversity in counseling in order to reach each person where they are. Working with couples we resolve conflict, improve relational satisfaction, communication skills, and gain an understanding of dysfunctional interactions. Working with families we seek to reduce distress and conflict by improving interactions. When part of the system is cracked, broken, or just needs work, the guidance of counseling can be helpful. Counseling can be, and is, very effective when both parties work for the desired outcome. As a counselor, I will work with you to help you reach your personal goals. My goal is to aid, support, guide, and advocate for you during this time. If you would like to schedule an appointment with Kory Ann, you can contact her directly at (406) 579-4370 or through the contact us page. In this chaotic world, I believe we are all trying our hardest to do our best with the cards we are dealt. Humans are complex. Life is dynamic. It is full of ups, downs, twists, and turns. And sometimes we need some help navigating through the storm. It takes courage, persistence, and vulnerability to grow, change, and find meaning in our experiences. If you are considering therapy, I would be honored to walk alongside you on your journey. I am driven by the belief that at our core, we are hard-wired for connection and a sense of belonging. To me, connection means that you feel seen, heard, valued, accepted, and energized from the relationship. I believe a trusting therapeutic relationship can help you heal, come alive, and cultivate resilience and hope. My goal is to help you discover your inner strengths, become more self-aware, learn new perspectives and skills, and make choices that lead to more fulfilling relationships, and a balanced, healthy life. As a U.S. Coast Guard veteran who grew up in the Midwest and lived on both the East and West Coasts, I have a diverse background. I have worked with adults who have experienced all types of trauma, grief/loss, anxiety, depression, suicidal ideation, relationship and career stress, and difficult life transitions, including military and adjustment issues. I have two years’ experience providing career counseling services to people of all ages and backgrounds, helping them break down barriers to employment. The past two years, I have worked as an advocate with adult survivors of domestic and sexual violence dealing with crisis. Currently, I am a pre-licensed counselor finishing my MS in Clinical Mental Health Counseling, with a specialization in Trauma and Crisis Counseling. I look forward to working with adults of all ages. Trauma can be an isolating experience. To open up and be vulnerable, you must feel comfortable, safe, and accepted. My approach is down-to-earth and nonjudgmental. I will provide a safe place for you to be you. Unfiltered. If you would like to schedule an appointment with Caitlin, you can contact her directly at (406) 595-1374 or through the contact us page.